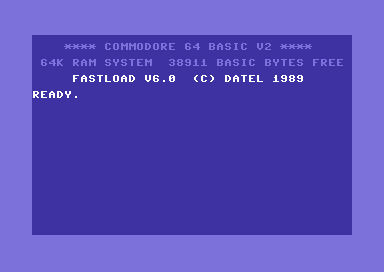 Here's some Commodore 64 stuff I created. There's a lot more where that came from, I just have to locate it. Unfortunately, it seems I have lost most of my assembler disks while moving around the country several times. 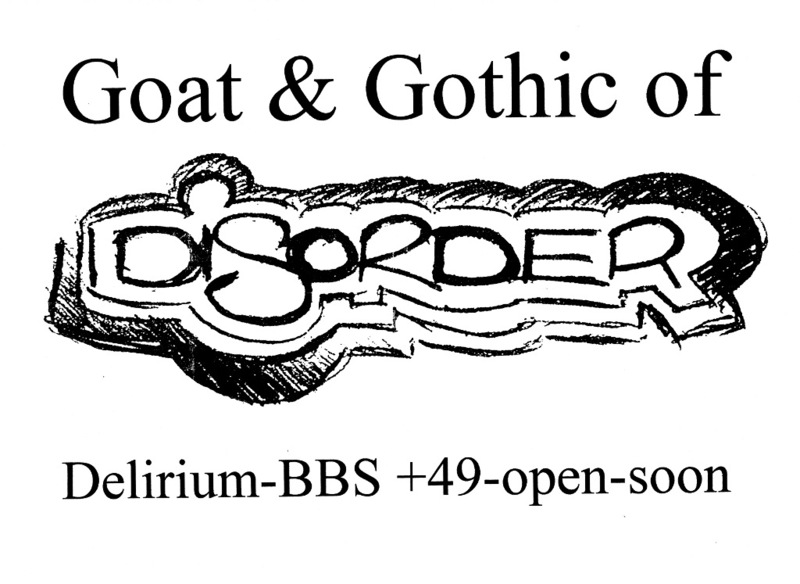 Disorder was the scene group Goat and me founded in early 1997. 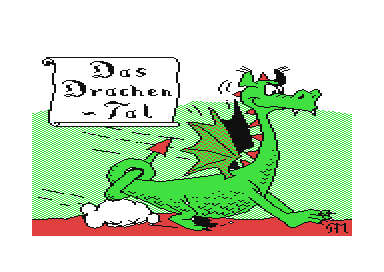 It only lasted for about nine months, mostly because I started to loose interest in the (illegal) C64 scene. When Boris 'Chipsi' Müller showed me a whole disk of graphics he had done for a role playing game that was never developed, I tried to convince him that we should do something with these gfx. 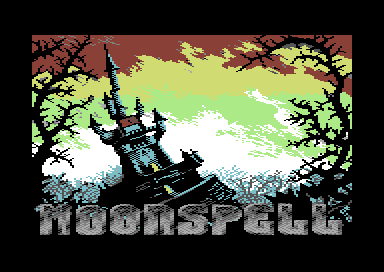 I wiped up a quick demo game for demonstration purposes: "Moonspell Preview". The title screen has been donated by Mendrake/Acrise and was allegedly done by DMI. A collection of game and application manuals in Startexter/Kwik-Write format, released under a fake label because I was groupless at that time and because it was mostly old stuff anyway. 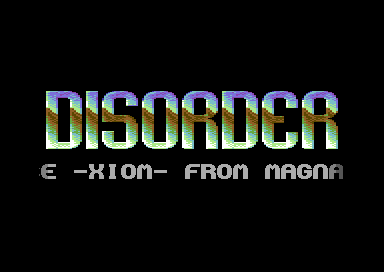 Includes docs for Lemmings, Barbarian 2, Startexter, Silent Service, Tau Ceti, Starship Commander, Tai Pan and Super Huey. A collection of subroutines that can be used in BASIC programs. Includes a comfortable input routine, cursor driven menus, directory routines in both BASIC and Assembler and similar stuff. Maps for two German low budget text adventures I solved. Some tools written in BASIC 2.0. 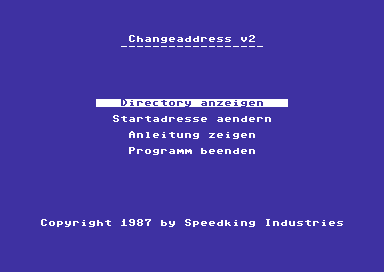 Changeaddress will change the start address of any file on disk, Name/ID changer manipulates the name and ID (all five digits) of a 1541 disk without having to format it. 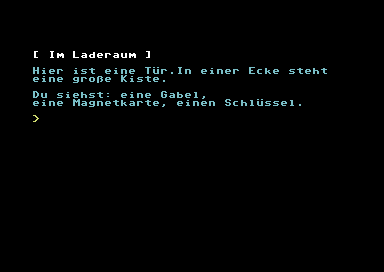 Also includes Fastwindows (a simple GUI system written in BASIC) and Textkonverter GUI, a test GUI for a text conversion program.